AP280-232 – WaterSaver Faucet Co.
Silencing Switch: Ideal for weekly ANSI testing. Turn key to silence alarm horn during unit activation. Key cannot be removed until switch is returned to normal (audible) position. One key included per unit. Installation: Unit is designed for use with recessed laboratory units. 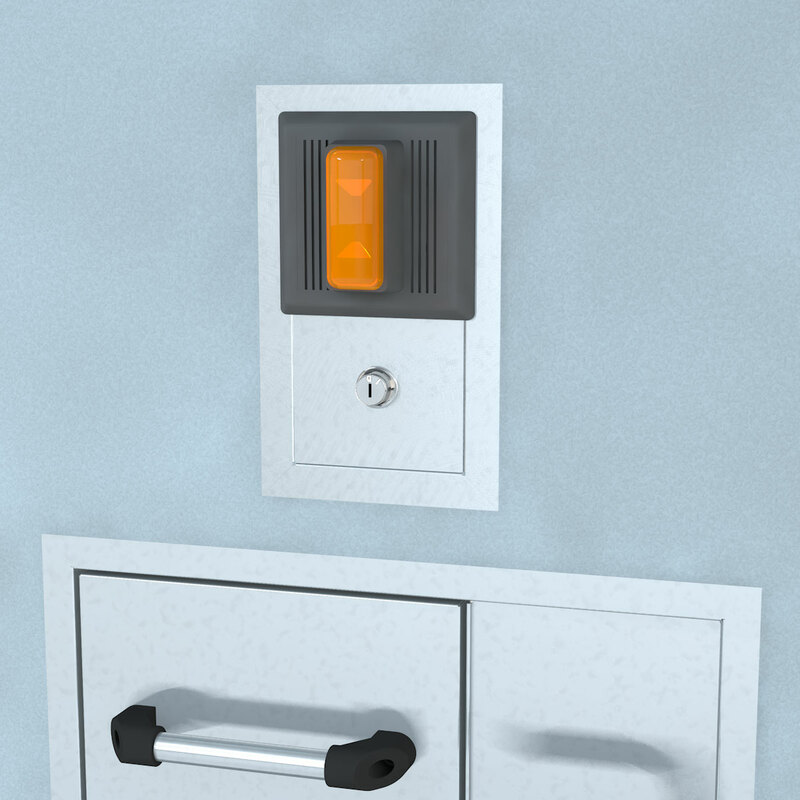 Combination light, alarm horn, and key switch is mounted on a stainless steel cabinet designed to recess into wall. Flow switch and electrical wiring are located behind wall. 120 volt, 0.11 amp electrical supply required. Visual Signal: Amber strobe light with shatter-resistant lens. Mounting: 16 gauge stainless steel cabinet with flanged rim for recessed mounting in wall. Cabinet includes 1/2” top and bottom conduit knockouts for electrical connection. Unit fits in standard 3 5/8” deep wall. Electrical connections by others. AP280-237 Same as above except with double pole, double throw flow switch for connection to monitoring system. When emergency unit is actuated, light and horn activate and electrical signal is sent to remote monitoring location.